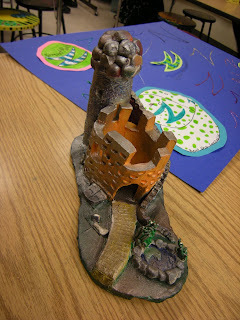 Tart--Teaching Art with Attitude: Finished Castles! I really think the key to these was letting students spray paint them!! Painting them with acrylic was painful because of all the tiny areas. 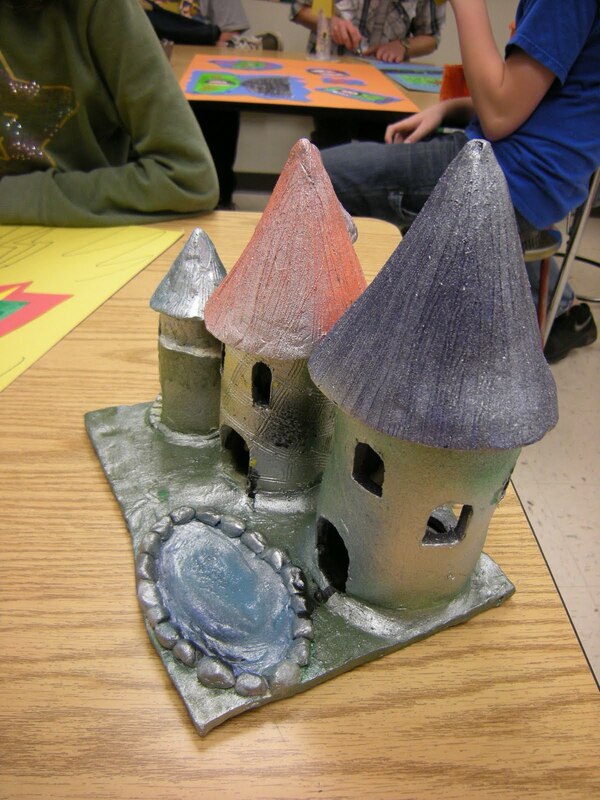 I let them go with the spray paint (I even had some glitter spray) and it really did the trick. Best ones were black with colors over the top, or a blending of analogous colors. Maybe I will do them again? These are lovely - are they made from clay or what? What grade, and how long did they take? Where did you do the spray-painting? I can't spray paint in my room during the school day, so if anything gets spray painted I have to do it myself after school or take the whole class outside which is difficult since I'm on the 2nd floor and it's a long walk to the door, leaving not much classtime after.